I am so excited to have Debra Sennefelder here at Mystery Thrillers and Romantic Suspense Reviews with a Spotlight and Excerpt. 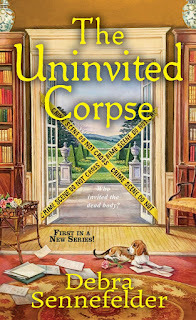 Thanks Debra and Great Escapes Virtual Book Tours for allowing me to join The Uninvited Corpse Blog Tour! I’m so happy to be here with you sharing my debut novel and how I got the call that I’ve sold the book. I’d been pursing publication for several years for several years like so many authors. I’d join a professional writing organization, a critique group and read endless how-to books. My evenings were spent writing, my weekends were spent writing, my days off from work were spent writing. I didn’t mind because I was chasing my dream. I believed it would happen one day. I’d be a published author. Then there came a point where I’d had enough. I’d run out of steam. I’d gotten one more rejection. I’d had my manuscript pages covered once-again with red ink from critique partners because something wasn’t right. A gal has to ask herself how many times can she hit her head against a wall before she realizes it’s just plain crazy? I’d given up evenings, weekends, vacation days and what did I have to show it? Not much. Discouraged I looked for another creative outlet to replace writing. At the time blogging was becoming popular and I’d stumbled upon a health and fitness community that allowed members to set up blogs. I thought I’d give it a try. Within a couple of days my blog was set up and I began blogging. Even with no prior experience and still not really sure what the whole blogging thing was, I had fallen in love. As a blogger I could write anything I wanted, whenever I wanted and however I wanted. There were no editors, agents or critique partners telling me what to do or not to do. No more red marks on my work. To me, it was freedom and a perfect way to marry writing with my interests. The wellness/fitness blog lasted only a few months. 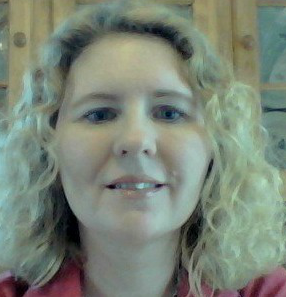 I moved onto another platform where I began my food blog, The Cookbook Diva. I love to cook and bake and write so a food blog was perfect for me. I navigated my way through learning the ins and outs of blogging, from how to develop a recipe to how to use a camera. I quickly moved onto purchasing my own domain and self-hosting the blog. It was about that time my thoughts started to wander back to writing fiction. I missed creating a plot, developing characters, telling a story. Over time I shifted back to writing fiction. 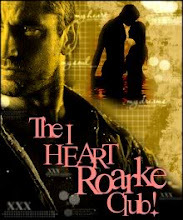 I eventually found a critique group and began writing a romantic suspense manuscript. I didn’t realize how much I missed writing fiction or that deep down I really was a fiction writer. Over time, the critique group dissolved but one other member and I stayed together to share our work. We’re still partners and we’re both published. I continued to work on romantic suspense until one spring day I considered trying my hand at writing a cozy mystery revolving around a food blogger. I shared the idea with my critique partner and she encouraged me to go for it. So I did. I dove into the project and instantly knew this was where I belonged. Writing fiction, writing a cozy mystery. Over the next few months I made the difficult decision to let go of my food blog. Between working full-time, life and writing the novel, I just didn’t have the time to give to the blog. To be honest, I haven’t looked back. It was a hard choice to make but it was the right one. 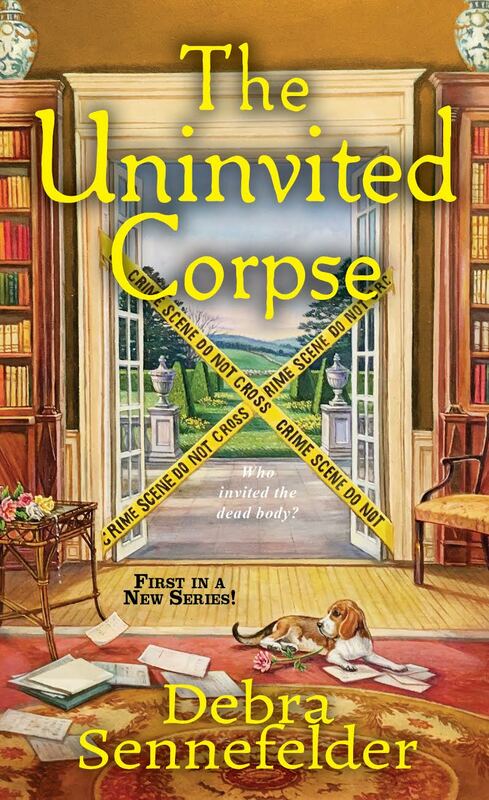 Because a year after starting The Uninvited Corpse I was signed on by an agent and eight months after that I received the call for a three-book contract with Kensington. In that one call the dream I’d had since childhood was coming true. The call also validated all those countless hours of writing and editing and revising I’d done over the years. The call also opened up a whole new chapter in my life because I was on the path to becoming a full-time writer. Lastly, the call also reaffirmed we should never give up on our dreams because they can come true if we work hard enough and believe in ourselves. My road to publication took some unexpected turns and I’m grateful for each one. Leaving behind a failed career as a magazine editor and an embarrassing stint on a reality baking show, newly divorced lifestyle entrepreneur Hope Early thought things were finally on the upswing — until she comes face-to-face with a murderer. Hope’s schedule is already jam packed with recipe testing and shameless plugs for her food blog as she rushes off to attend a spring garden tour in the charming town of Jefferson, Connecticut. Unfortunately, it isn’t the perfectly arranged potted plants that grab her attention — it’s the bloody body of reviled real estate agent Peaches McCoy. One of the tour guests committed murder, and all eyes are on Hope’s older sister, Claire Dixon — who, at best, saw Peaches as a professional rival. And suspicions really heat up when another murder occurs the following night. Now, with two messy murders shaking Jefferson and all evidence pointing to Claire, Hope must set aside her burgeoning brand to prove her sister’s innocence. But the closer she gets to the truth, the closer she gets to a killer intent on making sure her life goes permanently out of style.